If you’ve been reading our blog for any length of time, you’ll know that we recommend learning everything you can about vaccines, vaccine adverse reactions and their frequency, the means of transmission of each “vaccine-preventable” illness, and the actual likelihood of catching and/or dying from them long before you let anyone come near you or your child with a hypodermic needle. Way back when TMR was just getting off the ground, I wrote a blog called Critical Thinking 101: The Vaccine Debate. It was about the necessity of assessing the source of the information you’re getting, whatever it is, and determining the likelihood that someone is telling you the truth, at least as they see it. It’s important to always remember that no one sees things as they are. We all have our own “spin,” whether we are aware of it or not. I wrote that blog because I was once “the new guy” to the discussion, and I started out blind. Who truly has the welfare of you and your child in mind when writing or posting? Sometimes it is hard to tell, but people give themselves away eventually, don’t they? I mean how concerned is someone likely to be about your child’s welfare when he says to some other parent, whose child has clearly already been harmed by one or more vaccines, “I hope you and your kids die of vaccine-preventable diseases”? When you encounter that attitude repeatedly as a response to people who are saying perfectly reasonable things, like “my child went into anaphylactic shock and nearly died from a vaccine reaction,” you start to wonder about those people who would deny your right to question the need for a chickenpox vaccine mandate. Over and over again, I found that parents who stuck around and hung in there, despite being called names that would have made Hitler blush, were genuine and generous with their information when it would have been so much easier for them not to be. I’m not going to say there are a lot of people who are as invested in denial as the person who made the above claim. But it has occurred to me that when people point to some godawful study as “proof” that vaccines don’t cause autism, or they tell me I am not qualified to read a scientific study and assess its quality, it’s because they don’t know how to assess the science themselves. They are relying on someone else to interpret it for them – perhaps someone who professes to love and/or know science – because they don’t understand why studies are designed the way they are. There are a lot of people who appear to be missing a crucial piece of knowledge when it comes to understanding medical studies. A lot of smart people. A lot of genuine people. A lot of concerned, caring citizens. This blog is for those people. When I first graduated from college I worked as an electrical engineer. The company I worked for made military communications devices, the kind of thing you might find on a fighter jet. There were two main goals to those devices: 1) get your signal through; and 2) keep the enemy’s signal from getting through. The most important consideration in whether or not your signal gets through – clearly – to the person intended to receive it is the signal-to-noise ratio, or SNR. SNR is a measure of how strong your signal is compared to the background “noise.” It should be intuitively obvious that for clear communications you want the highest SNR possible. With a lower SNR, for instance, instead of hearing Neil Armstrong’s “That’s one small step for a man, one giant leap for mankind,” we might have heard, “. . . small . . . giant . . . man . . . ” which, I’m sure you will agree, has a distinctly different ring. Clear communications are crucial to the operation of rockets and airplanes. 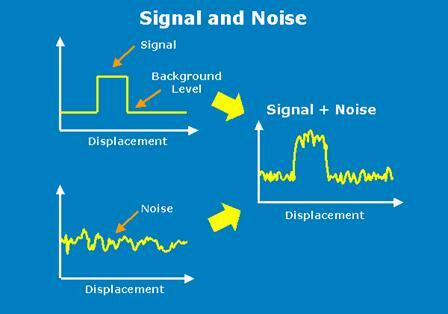 So signal processing is huge, and it’s all about boosting the power of the signal over the background noise to make the true signal easier to detect. 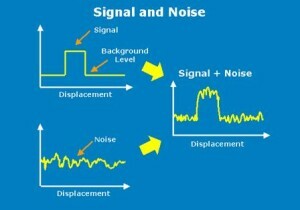 Often, if you try to amplify a signal, you amplify the noise as well, which will make a signal louder but not clearer. Amplification is not enough; in order to make the signal really stand out from the background noise, you need to understand both the signal and the noise. That way you can boost the signal and filter out the noise. That’s relatively straightforward for your car radio. A radio station broadcasts on a particular frequency. If you tune your radio to the frequency of the station you want, your radio can filter out radio waves at all other frequencies, and your signal comes through nice and clear. It’s a little more complicated, though, when you don’t know the properties of the signal will you’re looking for or what kinds of noise will also be encountered. In military electronics, at least back when we were still fighting the “Cold War,” we were all about trying to “jam” the enemy’s communications while not letting the enemy “jam” ours. The best way to jam someone else’s signal is to know how they are planning to send it and receive it. Much of Cold War spying was about getting inside information on the “other guy’s” communication systems. If you know what frequency they’re broadcasting on, for instance, you can send a strong noise signal at that frequency, and the communication is effectively jammed – with nothing but noise coming through the receiver. One way to keep your signal from being jammed is to “spread” it so that it already looks like noise, essentially hiding it from the enemy until it can be detected by a receiver that knows how to “unspread” the signal. The idea was always to stay ahead of the “other guy’s” technology. I worked in the research department. The joke was that half the stuff we worked on would never be deployed because “the Russians” would figure out how to jam it before it ever got on board a plane. Personally, I was much more interested in radio signals from “other guys” that were much less known and understood. Remember the film Contact with Jodie Foster? She played a radio astronomer looking for signals from extra-terrestrials. Since extra-terrestrial intelligence and technology are completely unknown quantities, we have no way of knowing what frequency a signal would come in on or how it would be “packaged,” making it necessary to make a lot of assumptions and guesses in order to even look for a signal. All of which makes the detection of an extra-terrestrial signal – even if it were being beamed straight at us – a pretty long shot. Which could be why, despite looking since 1961, the Search for Extra-Terrestrial Intelligence (SETI) has yet to report finding one. What a lot of people don’t know is that statistics, the mathematical processes used to analyze data, works the same way as signal processing. Say you’re looking for an association – or link – between smoking and lung cancer, the link would be the signal you would be looking for. It may or may not exist, but you need to design your study so that if it does exist your study will show it. This is why experiments are designed with “controls” and only one variable at a time. If more than one thing is changed at a time, you won’t know if your results are due to the variable you’re interested in or something else altogether – and any signal can easily get lost in noise. In epidemiological exposure studies, the best way to boost your SNR is to compare the highest exposure category to the lowest exposure. If you compare exposure categories that are quite close together, it will be much harder to detect the signal, no matter how strong that signal might be. For our theoretical smoking study, we might first start with taking as random a population as possible and filtering out the people with the highest exposure, say those who smoke two packs a day or more of unfiltered cigarettes for more than 10 years, and compare them with the people who had the lowest exposure: people who have never even lived with a smoker much less smoked themselves, for instance. Now, some of that information may not be available. Maybe you have no data on whether people smoked filtered or unfiltered cigarettes, or whether people lived with smokers or not. In that case, you cannot use those parameters for your data selection, but you would do the best you could with the data you have at hand in order to yield the strongest possible signal. Now say you’re a CEO of a tobacco company, and you really, really don’t want people thinking that cigarette smoking causes lung cancer, because you really, really want them to continue smoking. How would you analyze the same data, so instead of revealing any association that might exist, you hide it? Turns out it can be remarkably easy to hide a strong signal in noise. You’ve probably already done a preliminary analysis just to get a sense of exactly how big a signal you’ll need to hide, and maybe you’ve found that the point where lung cancer risk really takes off is with the people who smoke one pack a day. Okay, good, you can start by throwing out all the people who smoked more than two packs a day and all the people who smoked less than one pack a day, calling them “outliers.” So now you’re left with just the people who smoked between one and two packs a day. 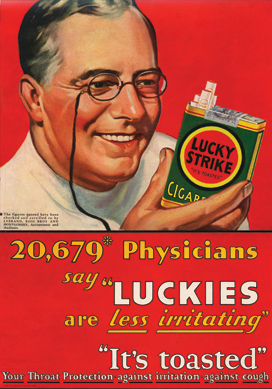 If you compare the people who smoked a pack and a half to two packs a day with the people who smoked one to one-and-a-half packs a day (calling them your “control group”) – shockingly enough – the incidence of lung cancer in the higher exposure group is only slightly higher than in the “control group.” (If you’re really lucky, it might even be a little lower because of some weird statistical fluke like the folks who smoke one-and-a-half to two packs a day are at the highest risk of dying first from heart disease – which is just fine with you because this study isn’t about heart disease!) And, since you’ve thrown out so much data, you can’t even say that the result you got is statistically significant. It could be just a “coincidence” and not a real correlation. Eureka! You’re done! You have successfully produced a “neutral” study that doesn’t prove anything either way. You might even be able to make a case for cigarette smoking being protective against lung cancer. Time to issue a press release with the title New Study Shows No Link Between Cigarette Smoking and Lung Cancer! If your luck holds, no one in the press will actually read the study, they’ll just point to it and say it “proves” that cigarettes don’t cause lung cancer. You might be tempted to call that second study “fraud.” After all, the folks doing the study know damned well that their study does the opposite of what scientific investigation is supposed to do: reveal the truth rather than hide it. It would certainly fall under the category of “tobacco science,” which Urban dictionary defines as “‘Science’ done on behalf of an interest defending it’s (sic) cash cow from overwhelming credible science that shows it is harmful or detrimental to public benefit in some way.” What might surprise you is that the study examples I gave are very close to two methodologies involved in a CDC study performed by Thomas Verstraeten (who currently works for GlaxoSmithKline, while Julie Gerberding who headed the CDC at the time works for Merck) done on the association between Thimerosal exposure from vaccines and rates of autism (and other neurological disorders). The first version (nicknamed “Generation Zero”) analyzed things in the way best suited to revealing a signal, and what a signal did it reveal! A number of neurodevelopmental conditions were anywhere from four to eight times more common in the population with the highest early exposures than in the population with no early exposure. The results were statistically significant, meaning they were unlikely to be due to a fluke. A little “noise suppression” tweaking boosted the autism prevalence to more than eleven times higher in the exposed population. 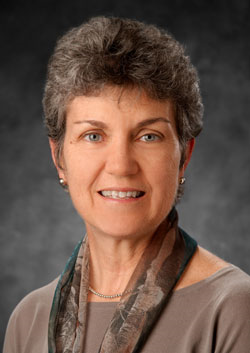 It took a few more revisions and a suggestion from Dr. Coleen Boyle (Director of the National Center on Birth Defects and Developmental Disabilities (NCBDDD) at the CDC) to include the kids who were probably too young yet to have an autism diagnosis to finally raise the noise level enough to get to statistical insignificance and a “neutral” study. At which point they finally let him publish it (four years after that secret meeting). They disingenuously pointed to it then, and continue to do so today, as “proof” that “vaccines don’t cause autism.” Frankly, the fact that anyone could say this with the online equivalent of a “straight face” means they don’t have even a shred of understanding how logic or science works, or they’re lying – or both. Thank goodness for the Freedom of Information Act, or we might not know exactly why Verstraeten’s published analysis makes so little sense. Moral of the story? There are lots of ways you can dampen a strong signal if that’s what you’re trying to do. And if you read the available “vaccine science,” you will get a crash course in them. When analyzing the science, you need to ask yourself the all-important question, “Is this study designed in the best possible way to reveal a ‘signal’ if there is one?” And if not, why not? Often you will find when it comes to “vaccine science,” like its correlate “tobacco science,” that not only is the answer to the first question no, the study has actually been designed in the worst possible way to reveal a ‘signal.” Why are these studies so badly designed? Can it be that no one at the CDC understands science or even logic? Hardly. The real answer is painfully obvious: a study designed in the worst possible way to reveal a signal, is often the one designed the best possible way to hide one. And the folks at Merck, GlaxoSmithKline, and the CDC are really, really hoping you never figure that out. This entry was posted in Blogs by Thinking Moms' Revolution, Professor TMR and tagged cdc, TMR, tobacco science, vaccine science, Verstraeten. Bookmark the permalink. I agree, Sherry, I was surprised to hear Congressman Burton talk as thguoh mercury were still a huge problem in vaccines, and glad that Thalia spelled out that it was only a problem in the usual flu vaccines. It was, and is, a big problem for me and my daughter, both mercury toxic from vaccines received before 2002, causing autism and MS in us. We’re doing Andy Cutler chelation, hoping to recover if we get the mercury out. But for children born since 2002, if ( a big if) they avoid the usual flu vaccine, the big problems now are the aluminum, antifreeze, formaldehyde, foreign, highly antigenic proteins from the culture media, and reactions to the pathogens themselves. I think the sheer huge number of vaccines given now is pushing thousands of kids into autism, and Congress should be talking about what to do about that. Taking mercury out of the flu vaccine is just going to be a bone that Big Pharma may be willing to throw to us, and will just permit them to say, See? It’s not vaccines, because there’s still so much autism. Congressman Burton is a little skewed on the subject of mercury. He is clearly convinced that mercury is the explanation for all the damage that vaccines do, and that is simply not correct. However, the fact that “mercury has been removed” from most of the vaccines on the childhood schedule does not necessarily mean that mercury is not a problem in those vaccines that retain “trace amounts” of Thimerosal. Those ‘trace amounts” are often given with aluminum-containing vaccines, and we know that mercury and aluminum together are far more neurotoxic than either is alone (and both are neurotoxic!). We have no way of knowing as yet how MUCH mercury is required to enable that synergistic effect. In addition, when the manufacturers “removed” Thimerosal, there was no oversight on this removal whatsoever. 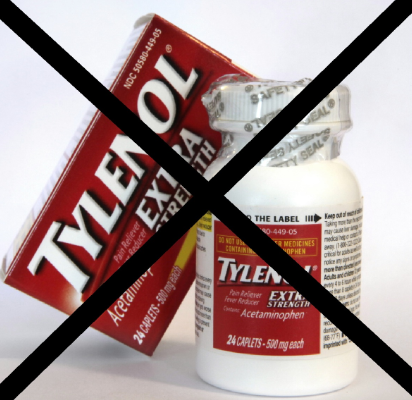 The only reuirement was that the manufacturers had to file a “process” for the removal with the FDA. No one actually checks to see if the process works and the mercury is actually removed. I found your post very interesting for 2 reasons. Firstly, your use of the tobacco industry as an example of trying to use noise to mask a signal. Interesting in that noise and false signal generation seems to the main weapon the anti-vaccination lobby uses. Plenty of niose to mask the simple – and evident signal that vaccination have – and do work. But ok – we all know that smoking causes all sorts of horrible deseases, mainly various cancers, that will undoubtably end up killing the smoker. Fine – except that we most probably all know – or know of, someone that has smoked all or most of their adult life and yet is still living, or lived to their 70´s or 80´s without any such symptoms. So no 100% correlation – yet when some child that has been vaccinated catches the desease, we see all the anti-vacc pseodo-scientists throwing up their arms and screaming that there – positive proof that the vaccination doesn´t work. A bit of hypocricy there, no? The truth is that the human body is a complex mechanism with many variables, but certain facts have been established, which maybe aren´t always 100%, but do work for the vast majority of the population. And to my second point: the fact is that all over the world there are thousands of true, dedicated and ethical scientists working to understand how our bodies work and thus make human existence a bit easier and less prone to all the horrible deseases we have living alongside us. The simple fact is that life expectancy has almost doubled in the last century – especially for people like you, who live in the privilidged west. The fact that you now wish to take us all over the cliff like a bunch of lemming is a bit worrying, but ultimitely your choice, but really, you are putting my children at risk and that does worry me – like the fact that your views are the same as certain ignorant and barbaric preachers of an ignorant and barbaric religion, whose actions are putting thousands of childrens lives in danger in places like Pakistan or Nigeria. Please have a think about that one. I agree that vaccines, at least some of them, are likely to have reduced the number of acute cases of specific diseases. Absolutely, there are folks on “my side” of the fence who are mixing up signals with noise as well. That does not IN ANY WAY negate the truth of what I have written here. I frequently use the “not everyone who smoked gets lung cancer” argument myself, because my mother was a chain smoker and lived to 92 with no cancer whatsoever, but I use it to show the people who say, “My kids got all their shots, and they’re fine” that that is not a piece of evidence against vaccines causing autism, just as my mother is not a piece of evidence against cigarette smoking causing lung cancer. Indeed! The human body IS a complex mechanism with many variables! Then WHY do people keep insisting that what is “safe” for one must implicitly be “safe” for another? NO OTHER DRUG is “safe and effective” for everyone. They ALL carry contraindications and warnings. Listen to the ads for drugs OTHER than vaccines and you will get a list of warnings. The same is true for vaccines (and, really, it is not “scientific” but “magical” thinking to think otherwise). Vaccine injury is REAL, as is well attested to by the National Vaccine Injury Compensation Program (a.k.a. Vaccine Court), which was established because vaccine manufacturers stood to lose their shirts because the DTP was ruining so many lives. That being said, you realize that a MANDATE saying, “You MUST vaccinate” would condemn OTHER people’s children to death and/or lifelong chronic illness from the vaccine, right? Why is it okay for those children to die because you don’t want your children to have the possibility of getting sick? I can see no moral justification for compelling parents to take an action that COULD condemn their children to death. If you feel the vaccine is going to “protect” you and it is worth the risks, by all means take the vaccine for yourself or your children, but don’t be surprised if someone ELSE assesses their family’s history and susceptibilities differently than you do. And you should know that it doesn’t matter in the least WHO espouses the same views. We don’t believe what we believe because someone else told us to. We believe what we believe due to our OWN experiences and investigations, including reading the available science. People may not act like it, but we are fortunately still free to think for ourselves. Would you have a source for 54% of children having a chronic illness? Thanks! Staggering 🙁 Thanks for the link. I don’t think the argument is that vaccines are ineffective. They clearly are very effective, and there’s no doubt that the reduction of infectious disease has come about because of vaccine programs. The issue is that vaccines, for some (and not a small some), are not safe. The issue is that we’re trading in infectious disease for chronic and neurological disorders. The science on this is neither infallible nor settled. It is intellectual dishonesty to assert that vaccines, like any other medication, are 100% safe. It is even worse to condemn those who have experienced the very real and very obvious damage due to vaccines. The temporal (timing) of the reaction in relation to a vaccination for many is immediate, within 24 hours. For others it’s within several weeks. While others don’t notice the impact until months later when they’re child is not speaking or when he’s lining up toys and spinning in circles all day. In the latter two cases, it’s more difficult to connect the dots back to vaccines. I concede that. Which brings me to my next point, related to Professor’s argument about noise. Whether or not increase in noise is purposeful, I do not know. I will say that surveillance and data collection on adverse vaccine events is sketchy at best. If a child is brought to the emergency room or doctor’s office following a vaccination, doctor’s will either 1) deny it’s the vaccine, 2) say the reaction is common and not worry. The cascade of developmental or auto-immune derangement will not be immediately evident until the kid is 18 to 24 months old. So certainly, there will be no reporting at that time. I’m arguing that there is under-reporting and lack of recognition of adverse vaccine events which contributes in large part to the noise in the data. There are several issues with the medical dogma around vaccine safety. The first is that the risk of an adverse event is miniscule. The second is that the vaccine manufacturing process has enough quality control. It does not. History is replete with examples of poor quality control, including SV40 in the polio vaccine, which is linked to human cancers decades out; the oral polio vaccine (OPV), which was quietly phased out in the US because it was found that this live virus vaccine was actually causing polio in children and their caregivers. The vaccinated were actually shedding the virus and those who came into contact with their feces (through diaper changes) contracted the disease. These are undeniable facts. But they appear to be random blips on the screen. The point is we all must question safety, advocate for safer vaccines and not to bury our heads in the sand and tout vaccinations as risk-free or low risk. To that end, we must question whether or not it is fair and just to force upon those, who may have underlying conditions (i.e. immune or genetic) that preclude them from vaccination. Currently, vaccines are contraindicated for those with documented allergies or who are immune challenged (i.e. undergoing chemo-therapy). That definition should be examined more closely and broadened to include family history of auto-immune disease, asthma, or allergy. But as it stands, it the definition will remain narrow, because the dogmatic medical establishment brushes adverse events under the rug and fails to investigate linkages. There is no “proof” that vaccines are safe for everyone. Epidemiological studies are not proof, especially, again, when there’s insufficient data. Similarly there is nothing that has been studies that indicates giving multiple vaccines at one time is safe. Yes, there are many factors involved, including health status of the child at time of vaccination (was the child sick when he was immunized, had allergies, parental health status,? ), the manufacturer/lot of the vaccine, etc. 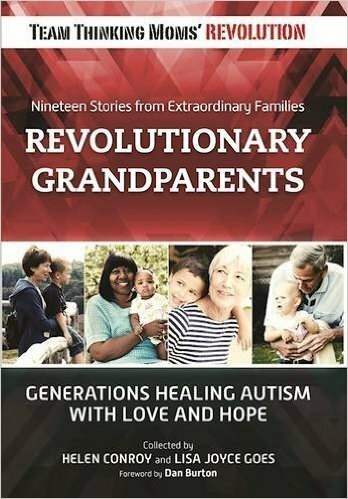 Again, we need to take our blinders off and look at the real possibility that the very real increase in chronic disease in our children (yes, including autism) may be linked to the very real increase in vaccines injected into the population. Vaccines do work, but at what cost? Excellent comment, 100383! I agree with every word. Though, I would go a step further at this point in time after . I think that toxic insults like vaccines are not actually ‘safe’ for anyone. They give the appearance of safety if there is no obvious and immediate damage, but, if there are enough of them, they can destroy even the most robust immune system and create the “predisposition” of future generations. @Professor: I agree. I stopped getting the flu vaccine, not only because it’s ineffective, but I question the wisdom of injecting myself with aluminum and thimerosal (I cannot believe that the latter is still being used as a preservative after, again, being quietly phased out of most childhood vaccines). Can you help me understand how Dr. Coleen Boyle’s email is making a suggestion to include the kids who were probably too young yet to have an autism diagnosis? I have read both the transcript from the secret meeting AND the email from Dr. Boyle and I am not seeing it. Your help would be greatly appreciated. I find this fascinating. The average age for an autism diagnosis is four, and we have to assume Coleen Boyle, as Director of the National Center on Birth Defects and Developmental Disabilities, knew that. 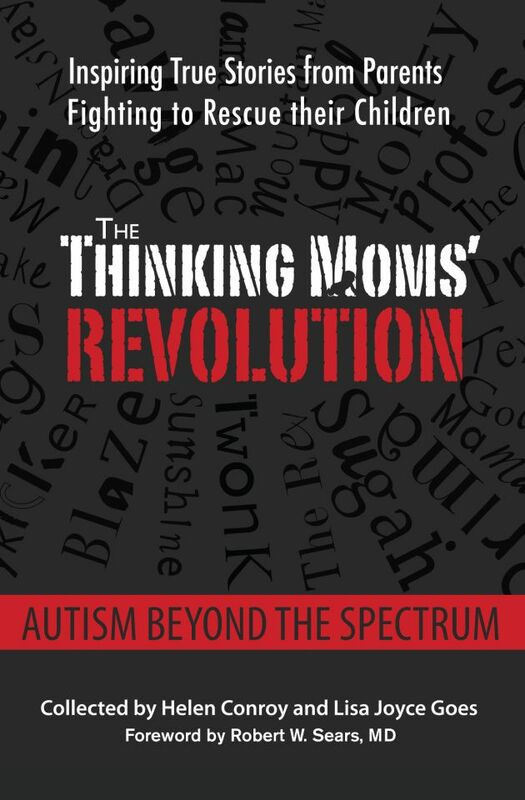 Therefore, including children who are 18 months old will almost certainly guarantee that only a small percentage of children who will later be diagnosed with autism will have a diagnosis at that point in time, giving an artificially low overall percentage for the age group they are lumped in with. That would most certainly dampen the “signal” of the link between exposures and autism diagnoses. If you are truly interested in discovering any connection between an exposure and a particular diagnosis, you should only include the group that is old enough for most of the cases to be diagnosed. For instance, if you know that most lung cancer occurs after 5 years of smoking, including the people who have been smoking for only 1 year will give an artificially low number of cancer cases, dampening any “signal” you may find. Thanks for that. My first thought was the same thing as you point out here, but then was hung up on Dr. Boyle’s use of the phrase “at least”. Since SOME autism cases can show up at age 2 and 3 (as she mentions), I was led to believe that perhaps she was just trying to ensure that more cases of autism were included in the cohort. Hmm. Thanks for sending the additional link, and thanks for this post. This is important information to have access to. I think she used “at least” meaning that would be the lower bound. At the point that email was sent he was working with a much higher lower bound for the cohort. I love all your writing, but I especially love these 2 critical thinking pieces. I see the tide turning and thoughtful commentaries like yours are making a difference. I have linked both of these on my blog. Thank you for allowing your pain, fueled by your education and sharp thinking, to bless and help others. I pray the truth behind the vaccine industry will be fully exposed and justice and healing for all those injured through vaccine damage. Thanks, Becky. I really appreciate this right now. This is so excellent! Thank you for helping me to understand how all the “science” can be so contradictory and confusing. 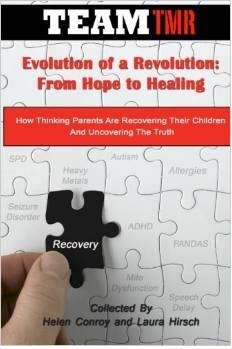 This post should be a “must read” for all parents beginning their (vaccine) research-journey! Thank you! Will be sharing this with families to help them understand what is happening with the research results. Brilliant. Excellent post! I am so tired of the sleight of hand used to hide the fact that millions of children in this country are suffering needlessly.